Once you have made your deposit, you must then place it in full on a wager on any market with odds of 3/4 (1.75) or over. You will then be awarded a bonus bet that matches the value of the bet you’ve made, once the bet has been settled. 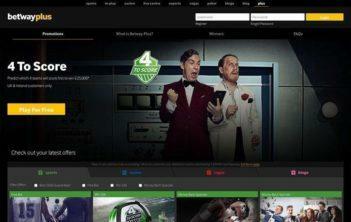 Betway Sports does not to go overboard on promotions. Most of the ones we could find were deals for accumulator insurance. As long as you placed a five-fold accumulator on any market, if then four of your selections come in but the fifth fails then Betway Sports will return up to £25 of your bet as a bonus bet. There’s also an offer to return horse racing wagers if your chosen mount is beaten into second place by a horse with a starting price greater than 10/1 (11.0). 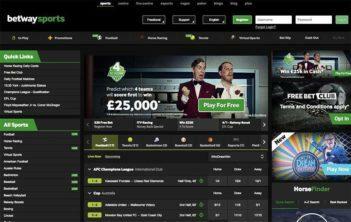 The Betway Sports branding matches the general branding of Betway’s selection of gambling portals, and it has to be said it’s not very appealing. It’s all a rather drab mixture of blacks, greys and greens. The site does have some good ideas though, such as the ‘Quick Links’ menu at the top left of the screen which gives sports bettors access to all the biggest events that are due to commence over the next day or so. Is there really anything to set Betway Sports apart from all the other sports betting portals that exist on the world wide web? In reality, not really. 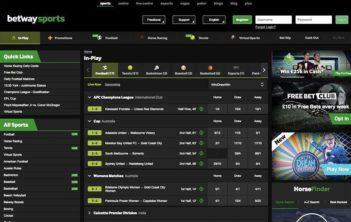 In fact other online sports books have much better promotions, and more attractive sites. 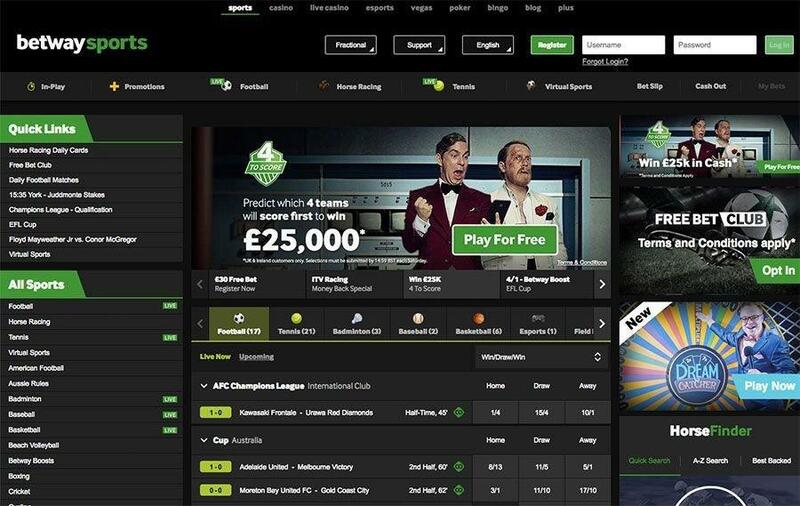 There’s nothing inherently wrong about Betway Sports, but whether you choose to make use of it over the dozens of other online sports betting sites that are out there is purely down to your own personal choice.